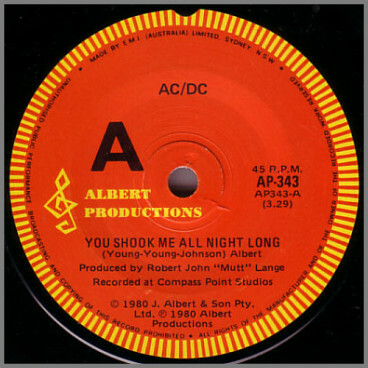 You Shook Me All Night Long was re-released in 1986. 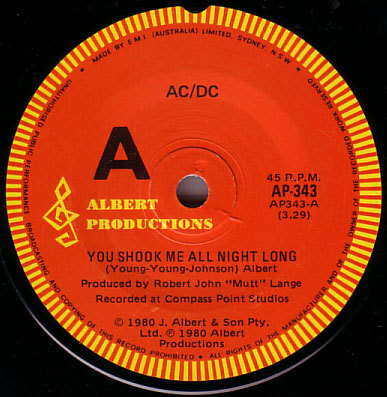 It's highest position in the charts was 79 and it stayed in the charts for 7 weeks. B/W What You Do For Money, Honey.